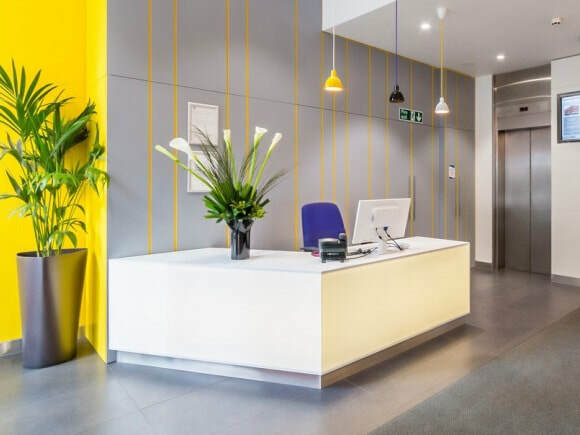 Victoria Street Business Centre is large building located in the SW1 region of London and boasts a variety of amenities and services to support a company's needs. Serviced offices are equipped with telephony wiring which is ideal for an instant move-in and can be supplied with office furniture if needed. With in-house video conferencing facilities available, this office space for let can not only be accessed all hours but has security systems in place. There is also a communications room on-site to store servers and the building has Wi-Fi access in public areas. With a helpful reception to attend to visitors, this office rental also offers admin and IT support.